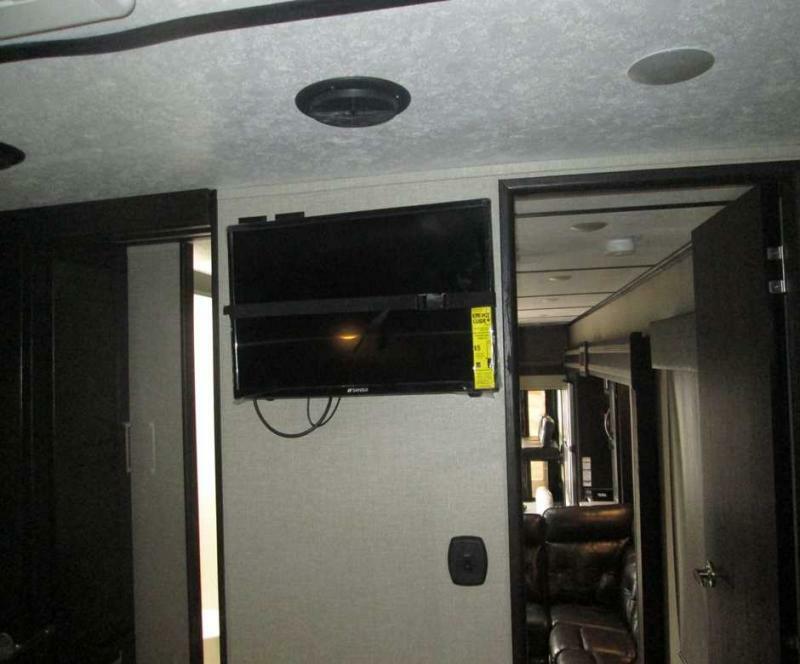 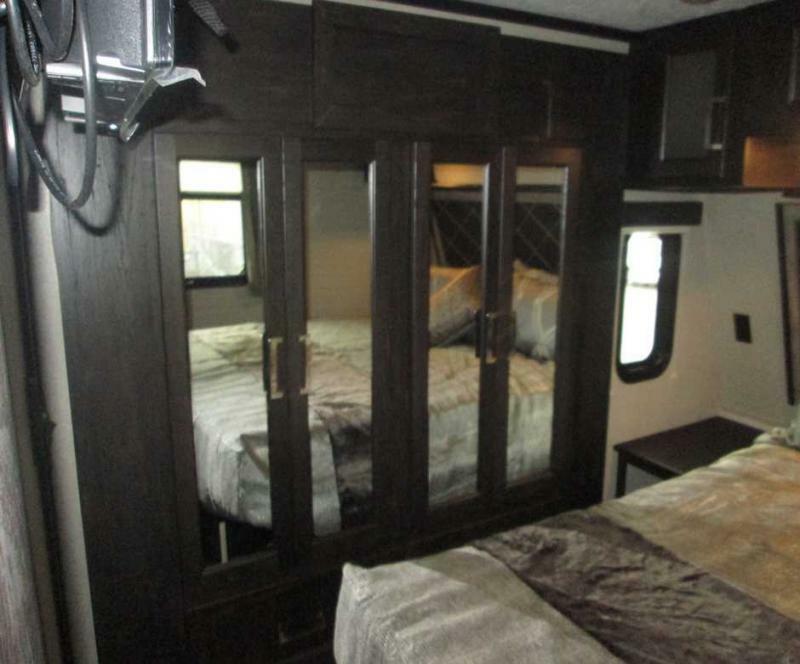 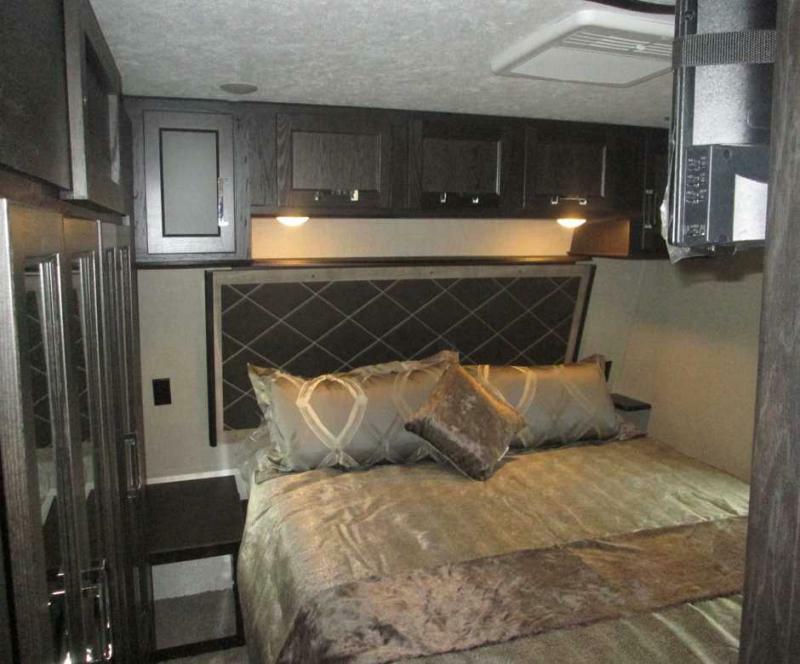 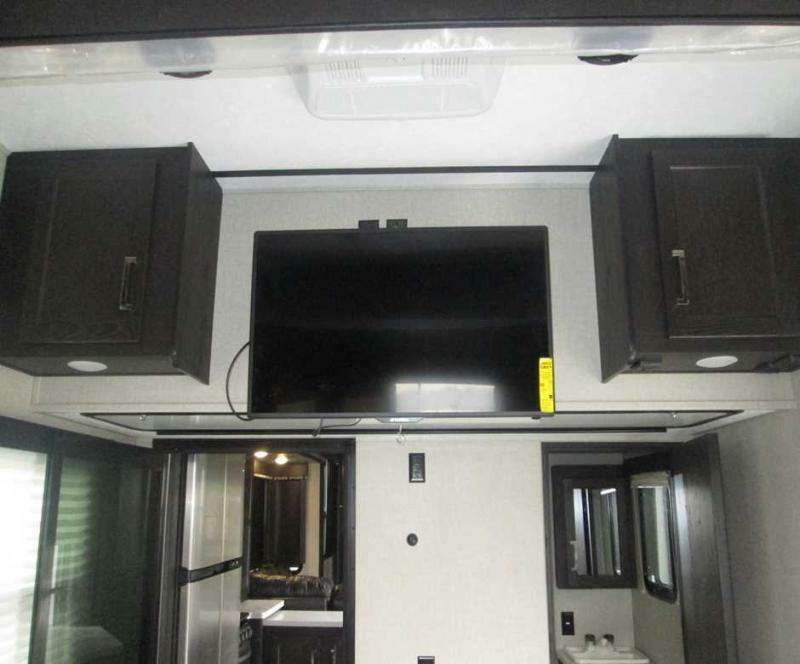 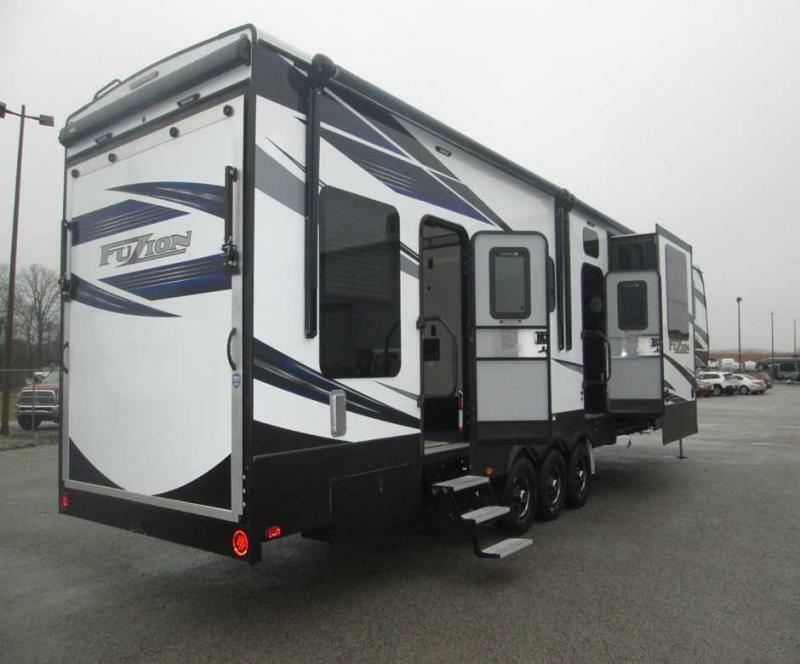 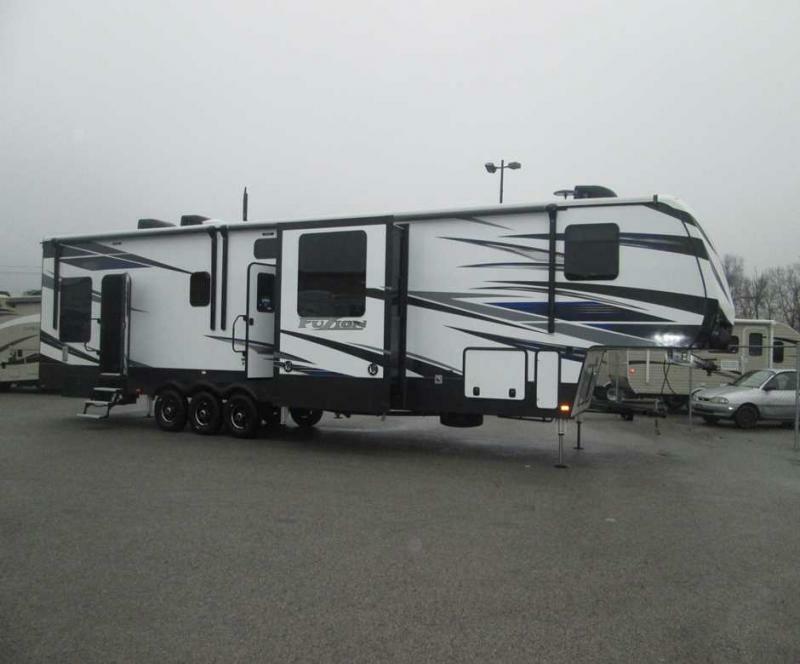 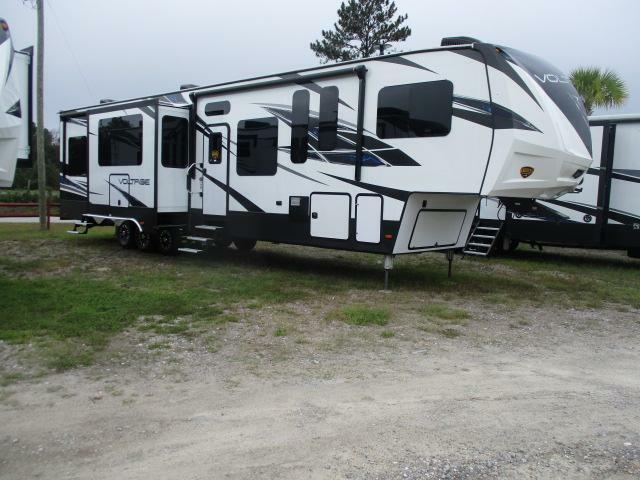 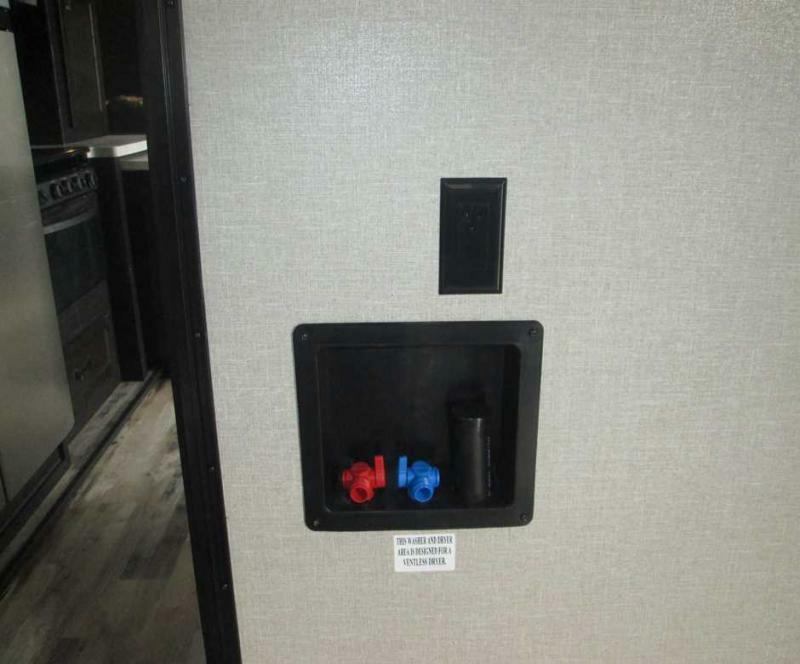 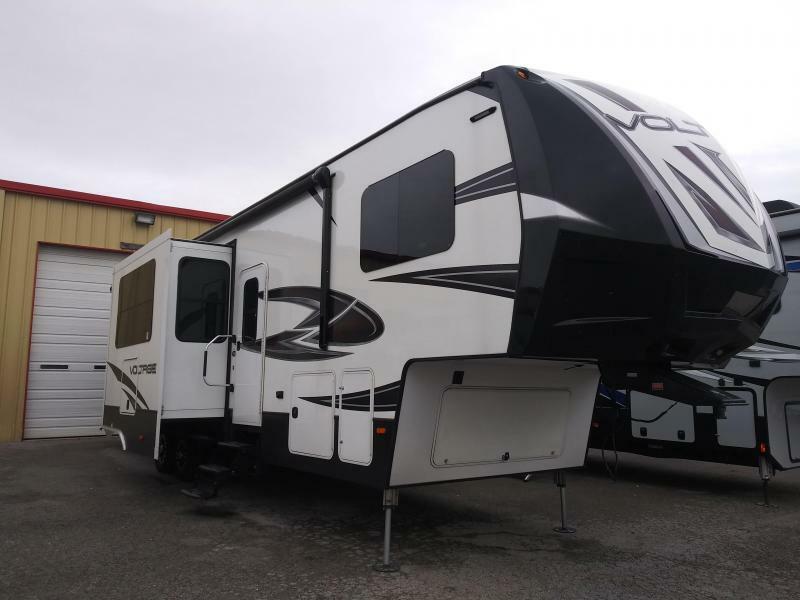 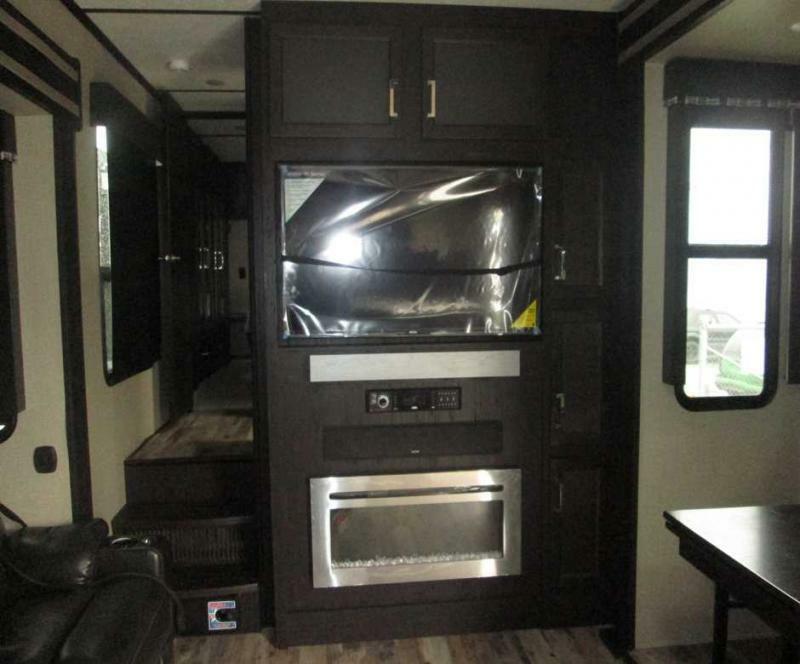 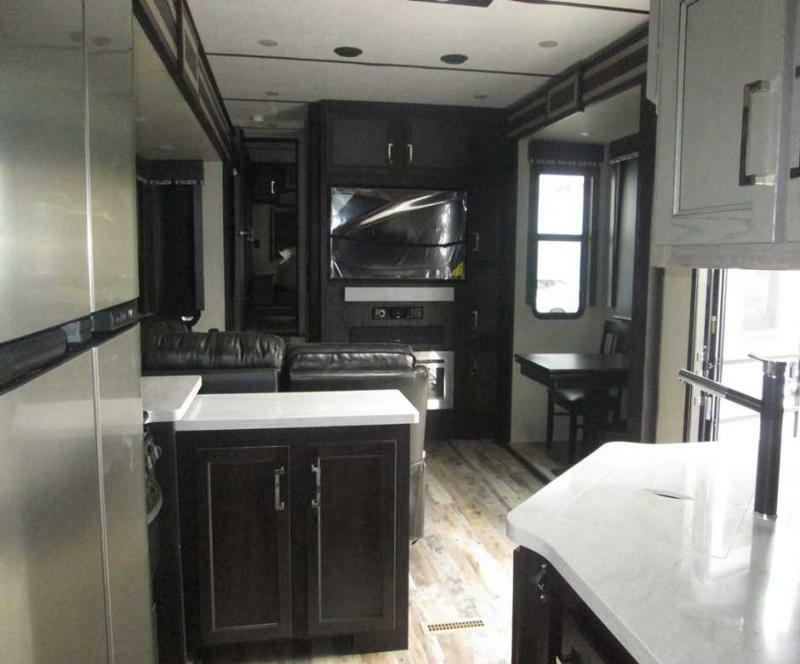 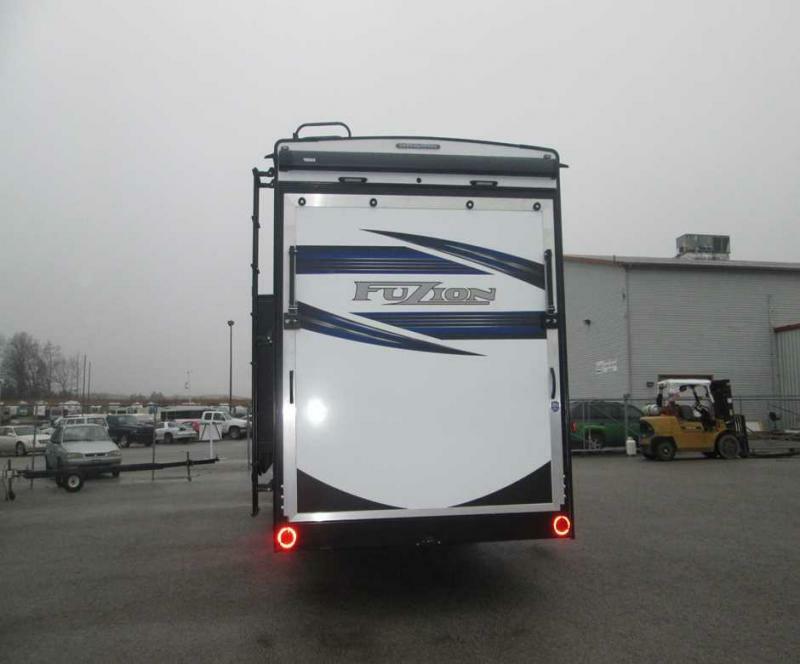 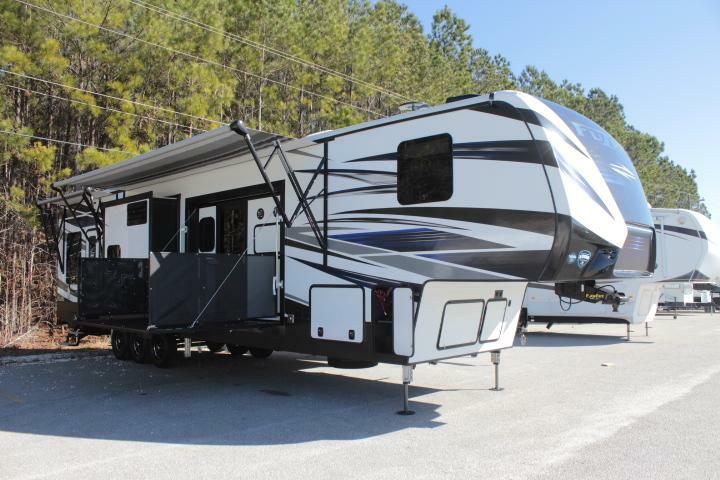 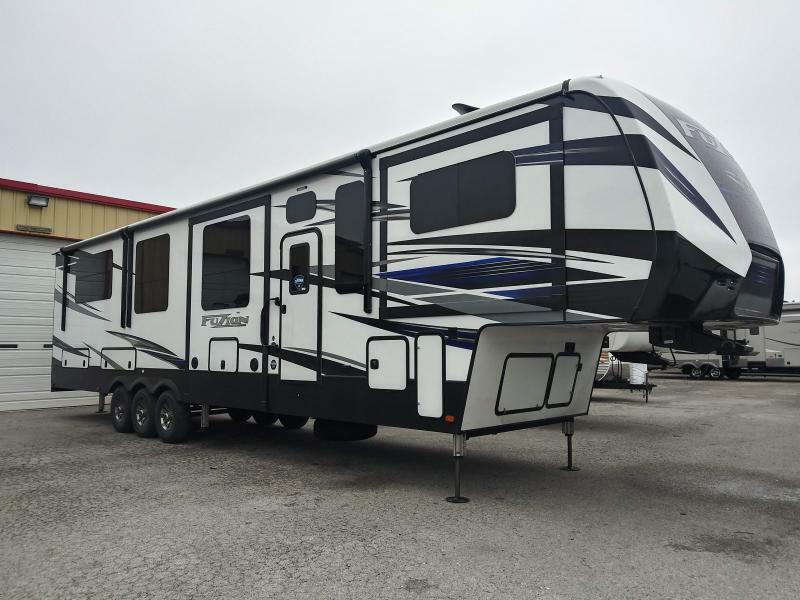 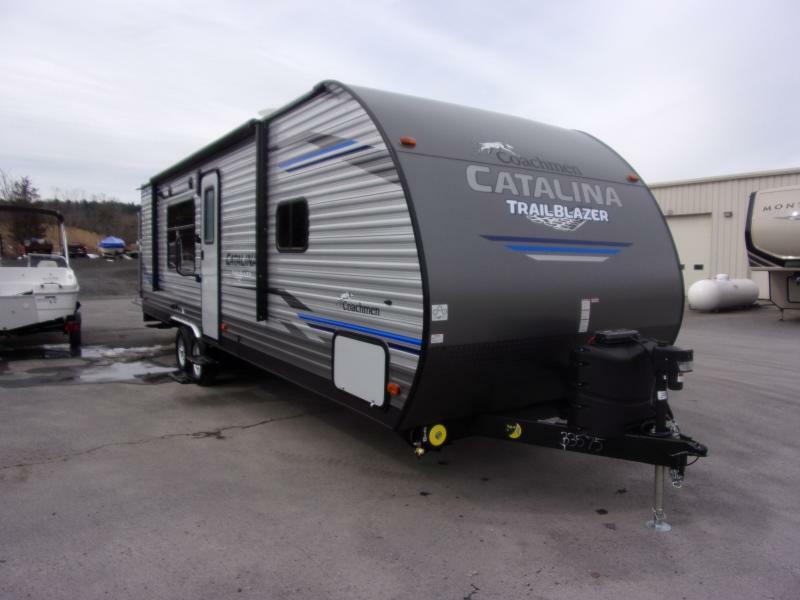 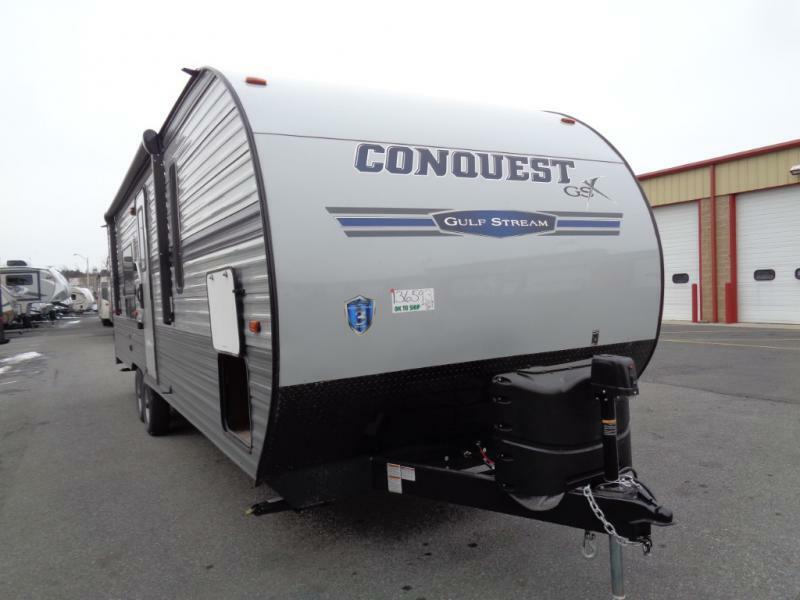 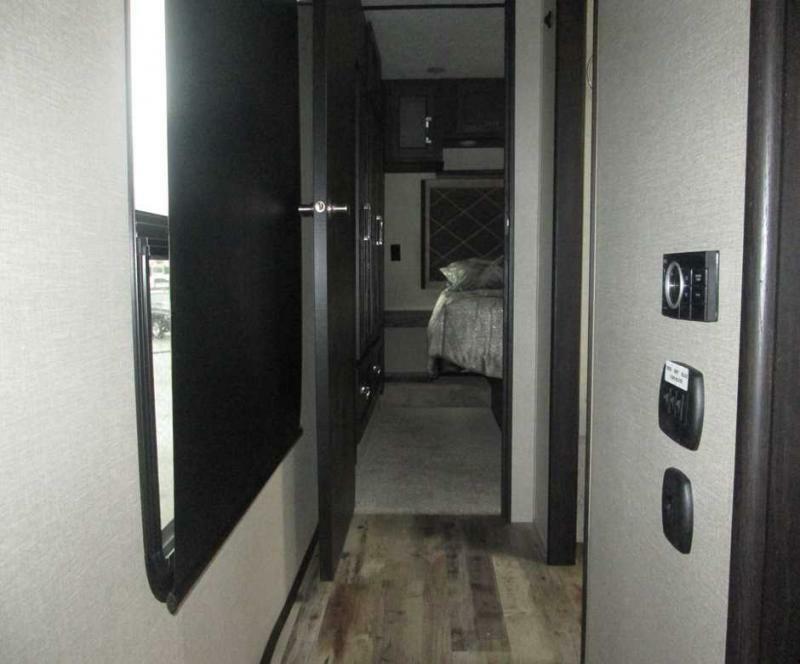 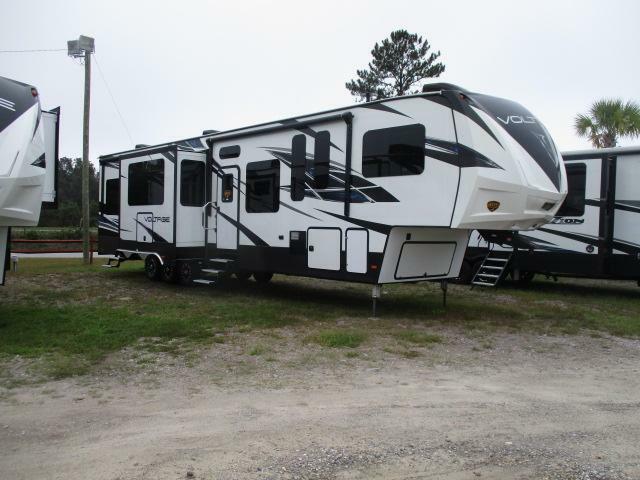 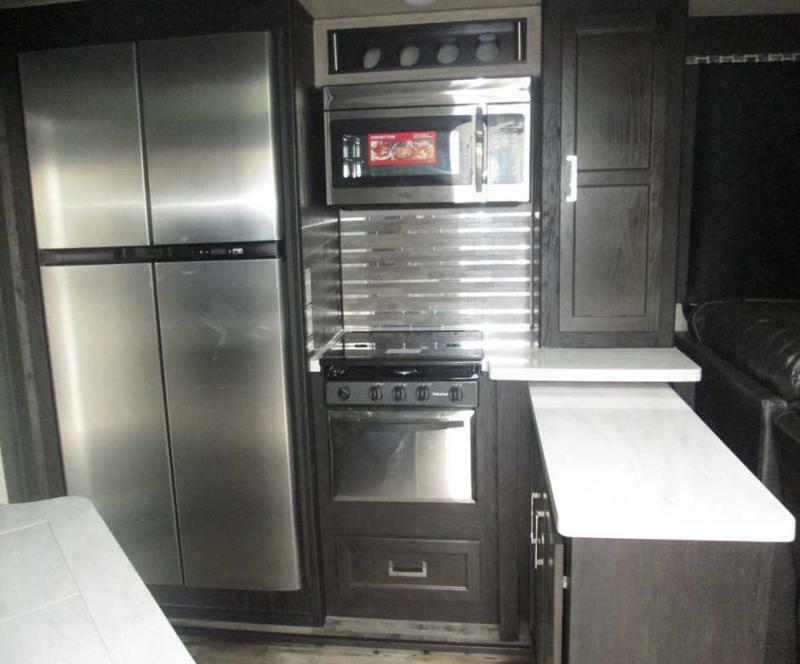 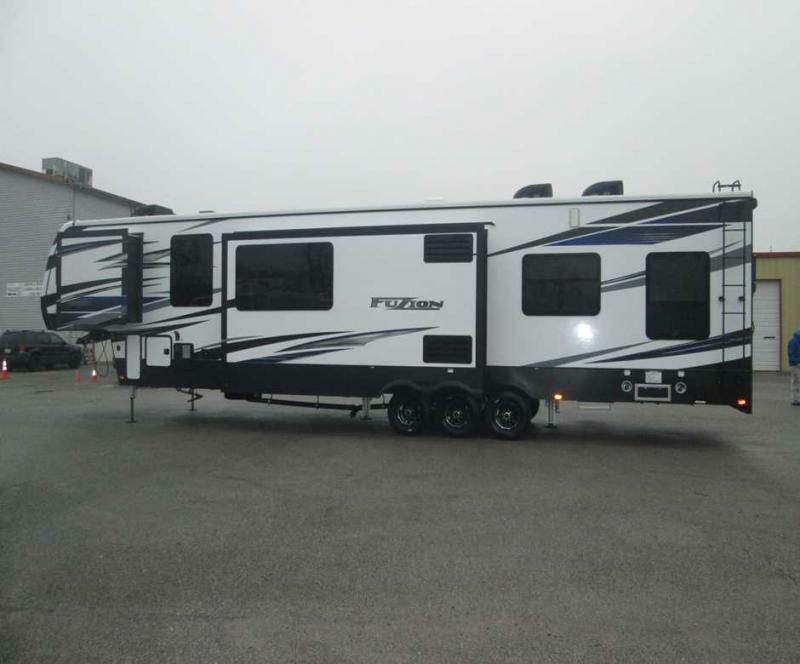 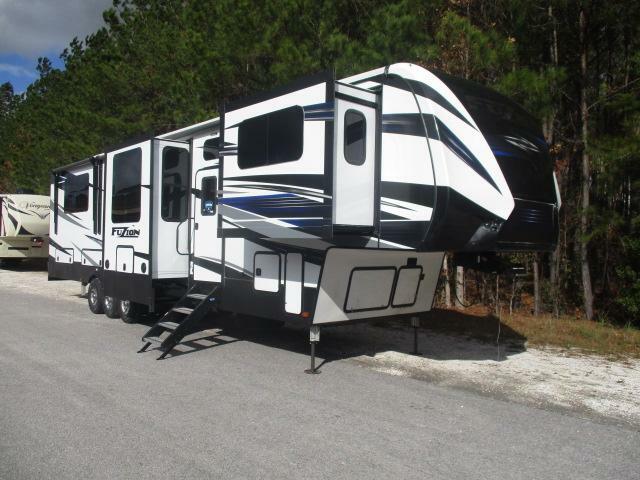 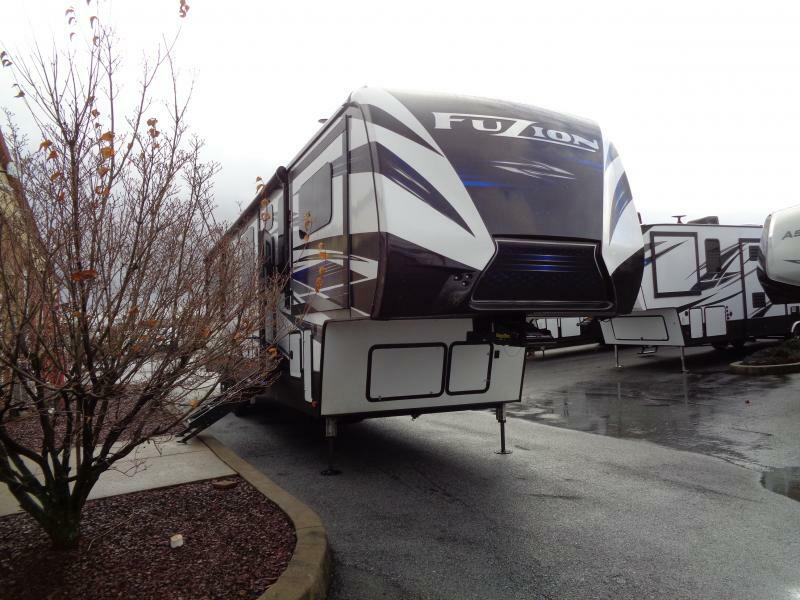 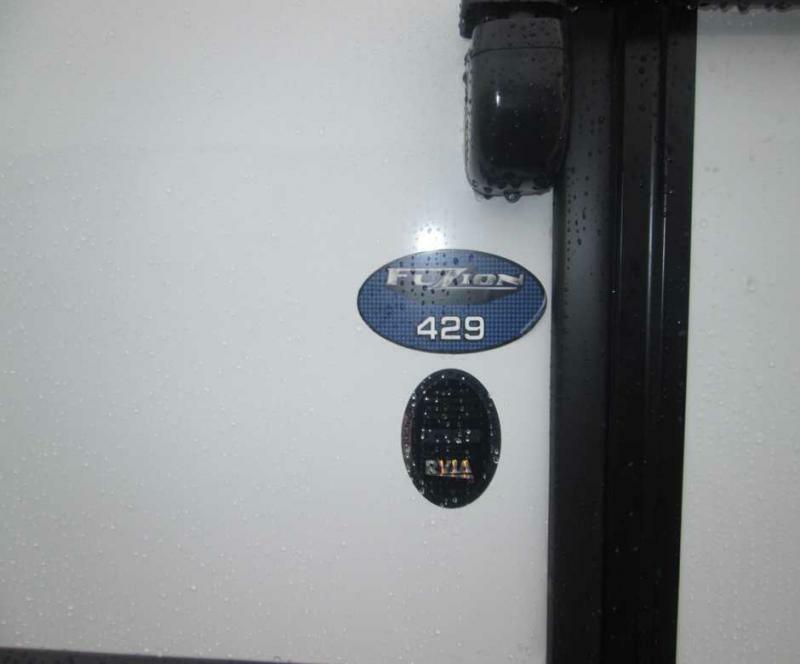 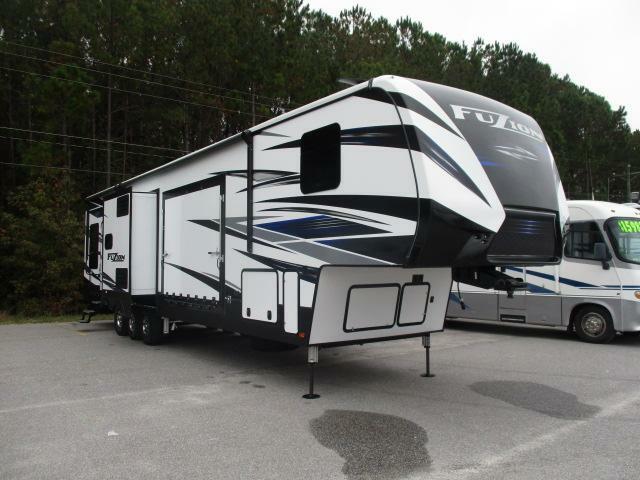 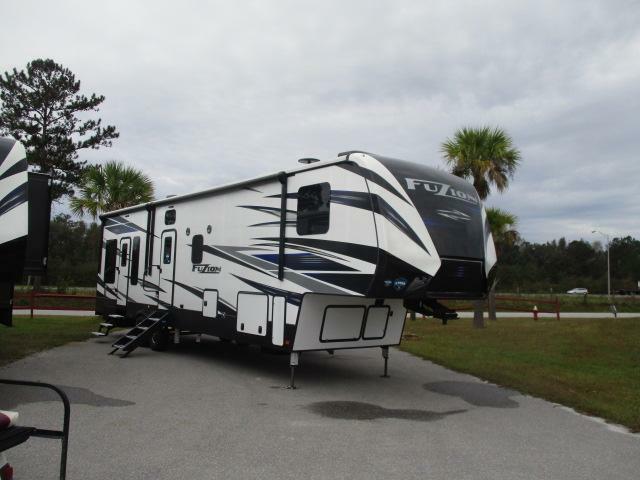 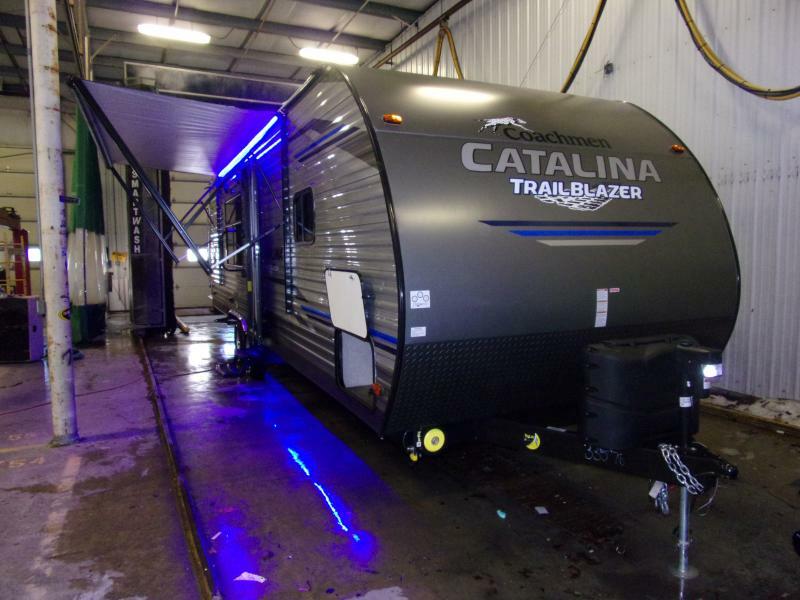 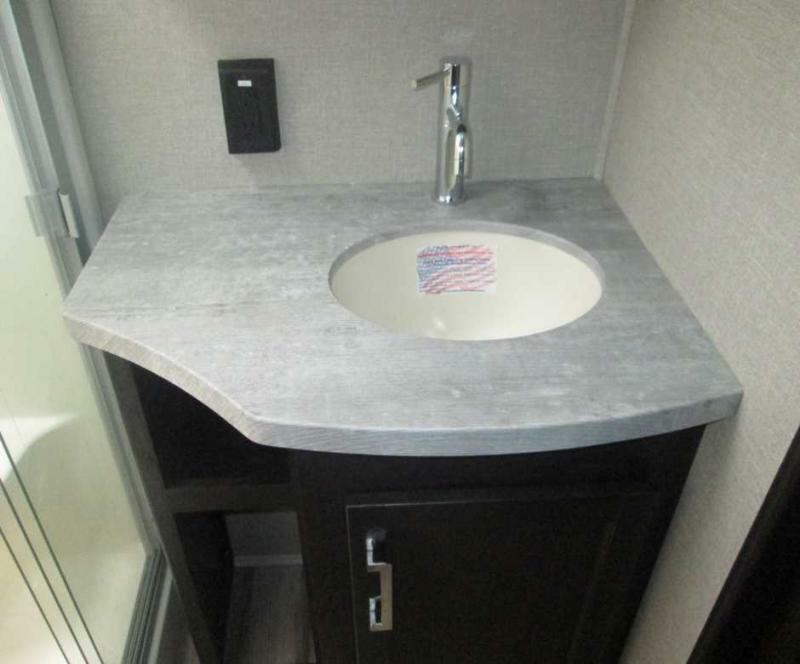 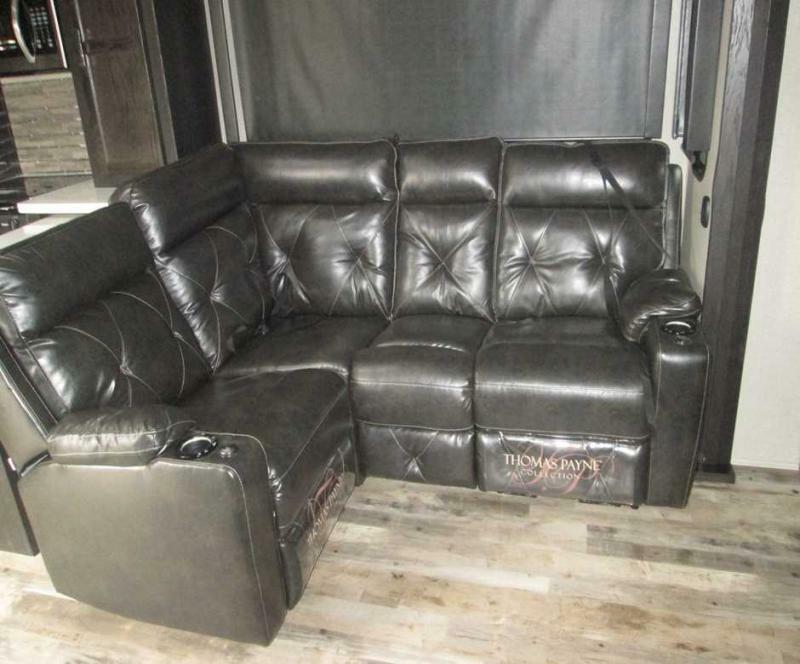 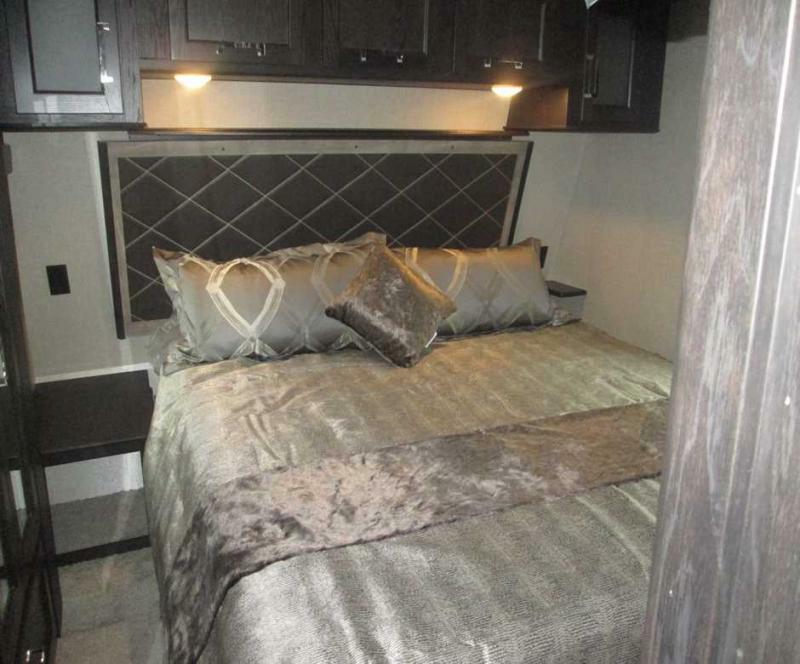 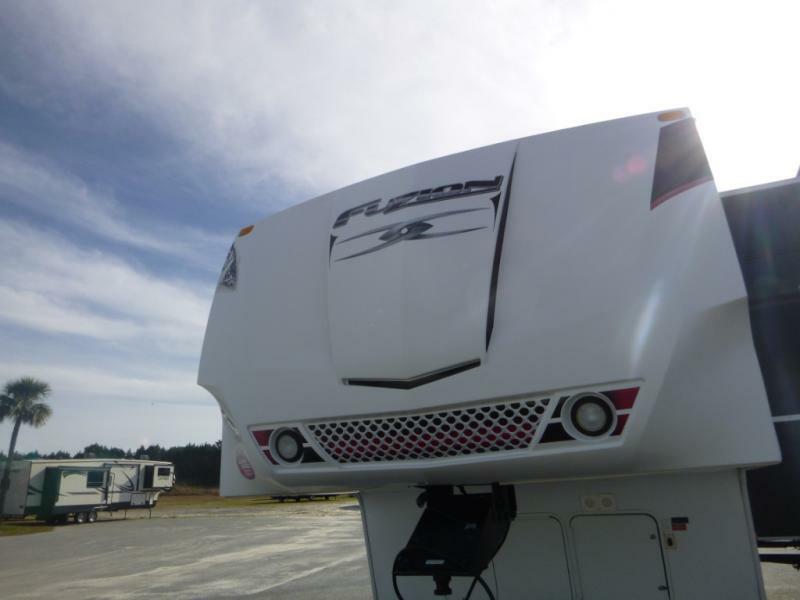 Check out this amazing new 2018 Fuzion 429 fifth wheel that Keystone has created! 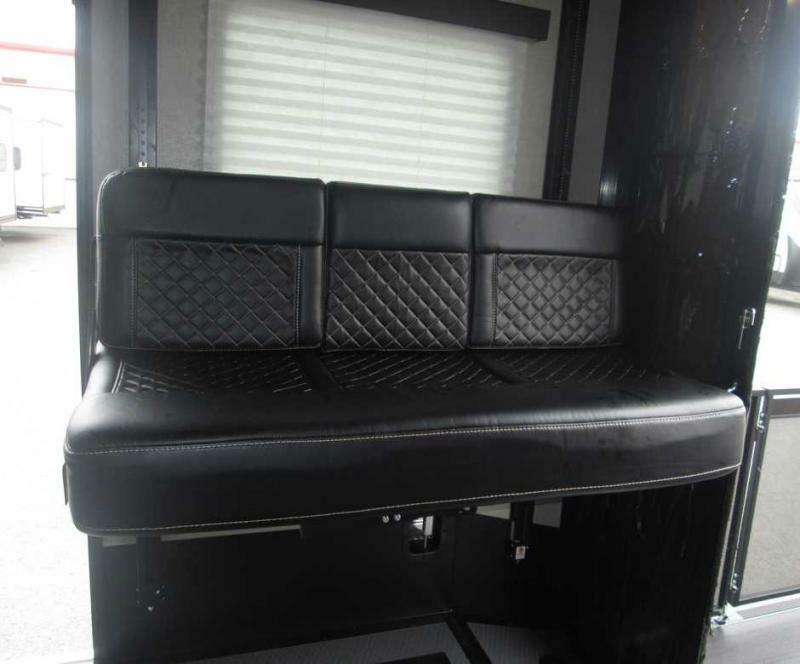 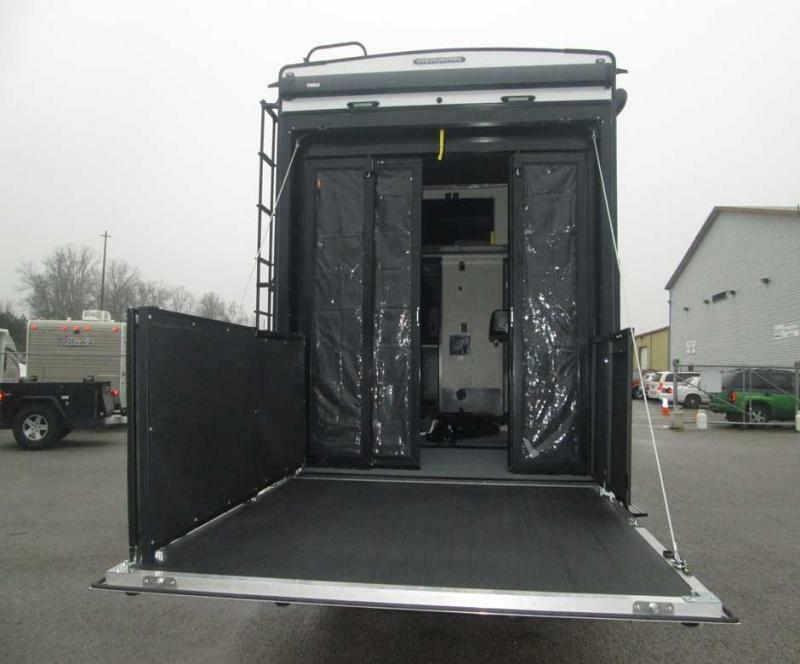 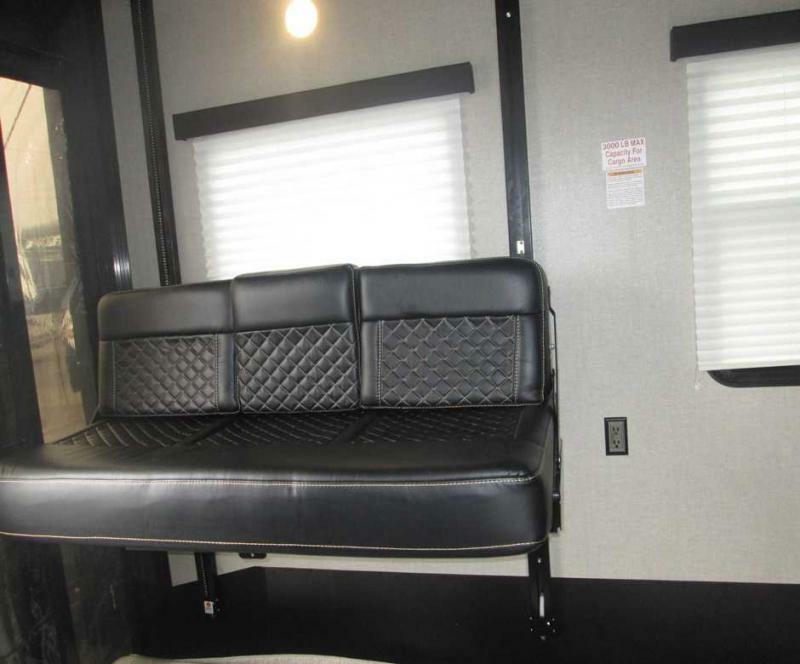 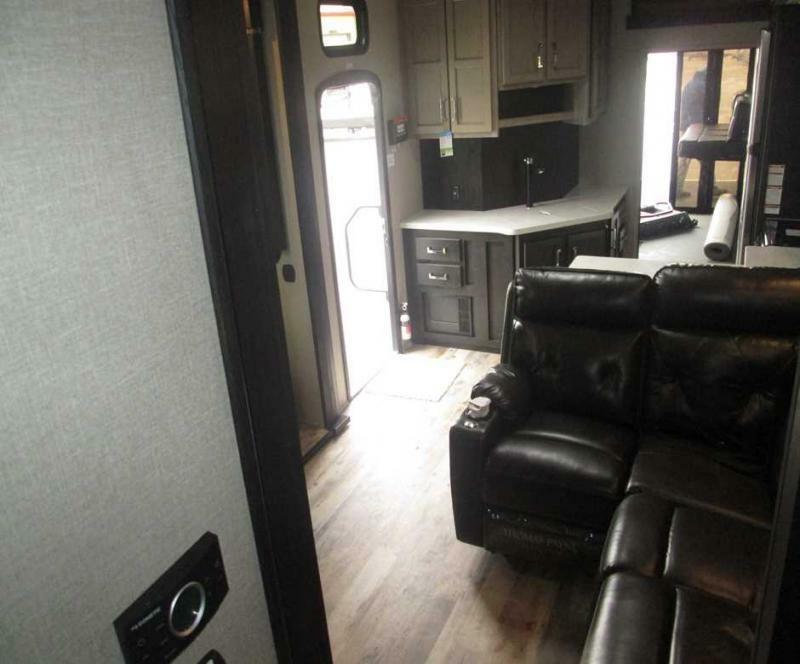 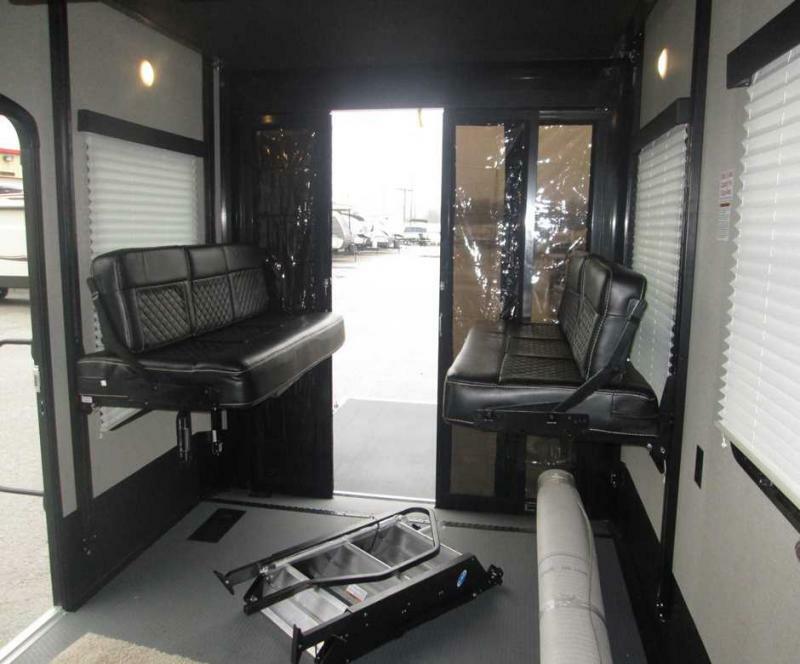 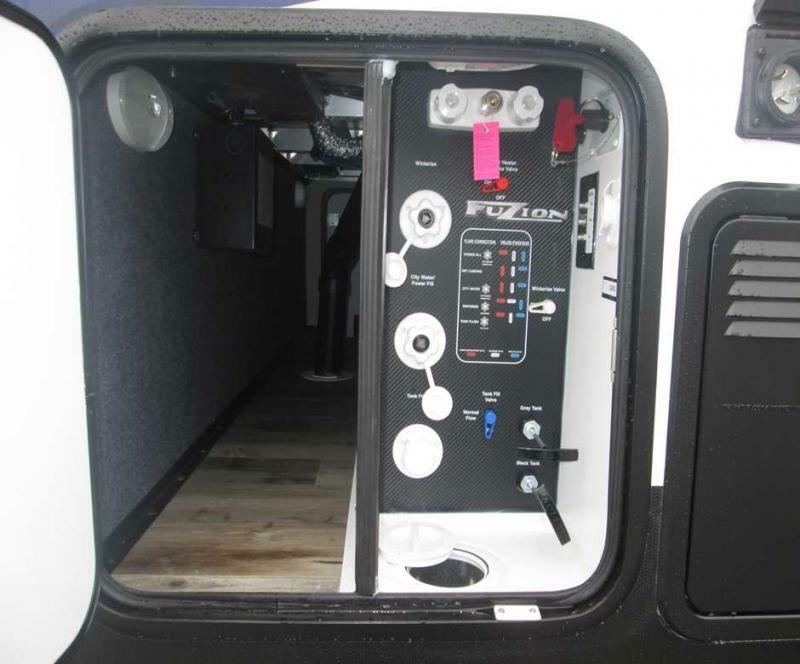 The garage area has enough room to store your toys while you travel, once they are unloaded this space can turn into a type of bunkhouse for the kids. 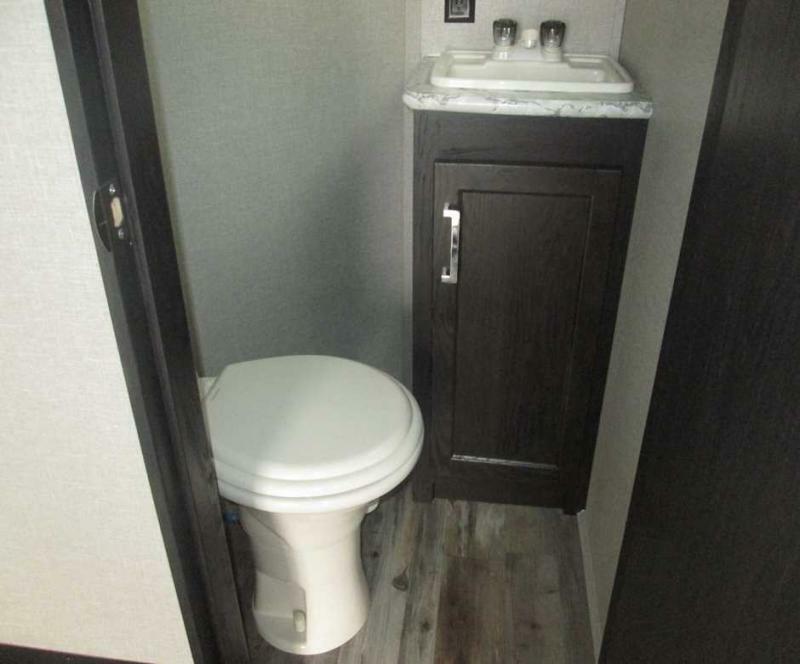 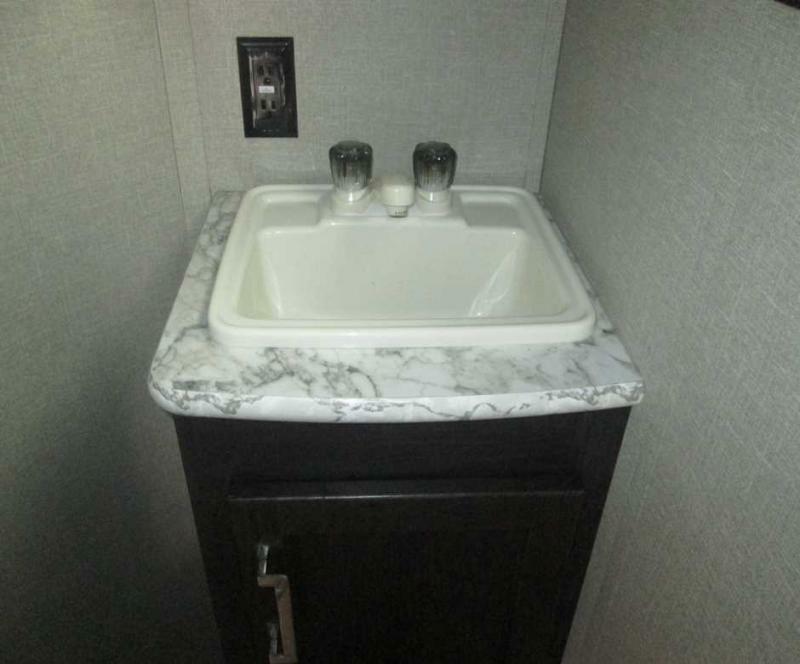 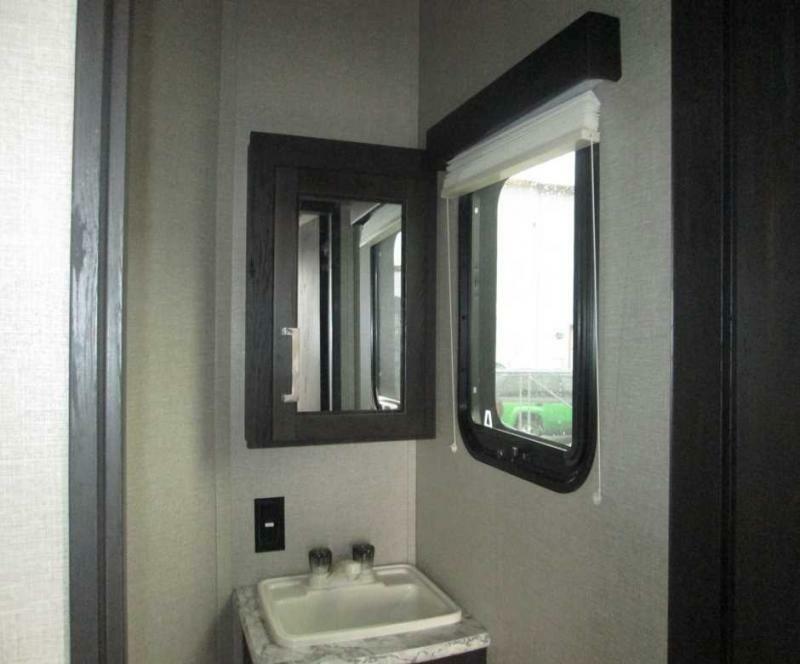 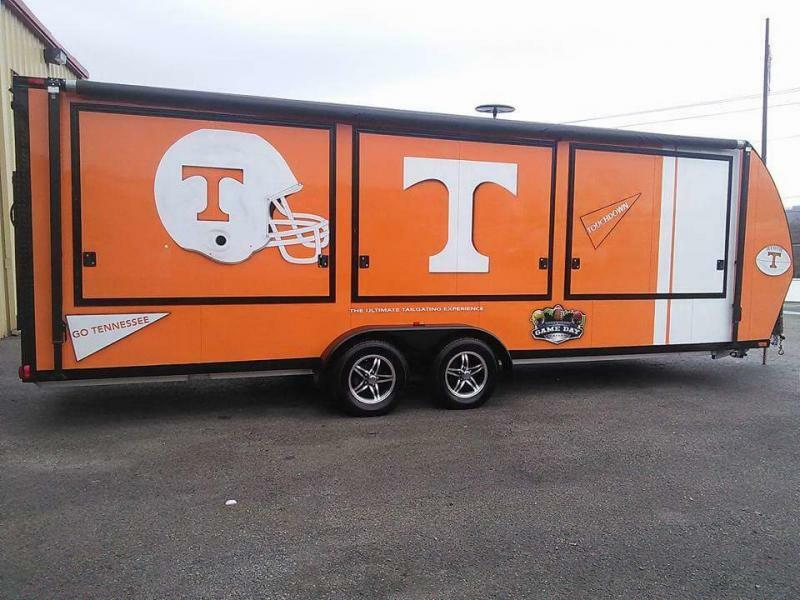 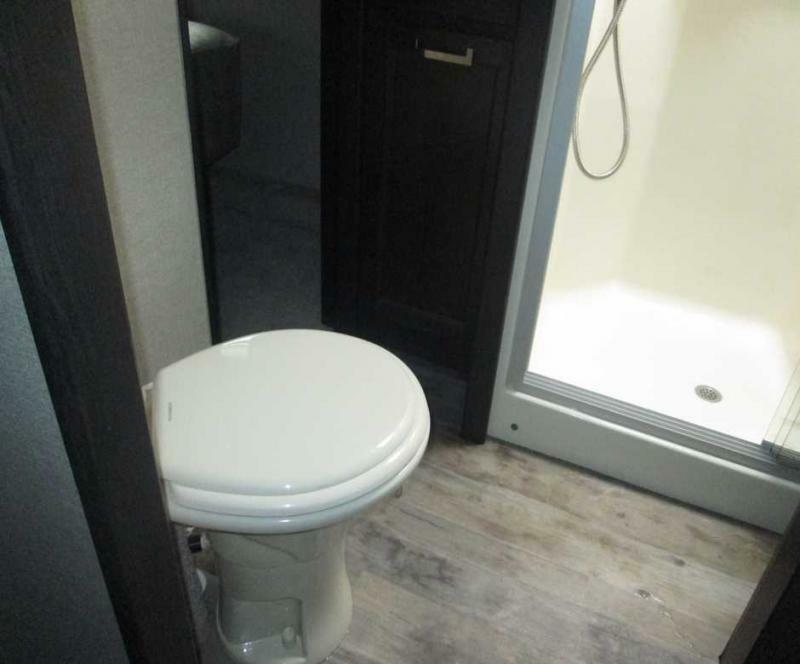 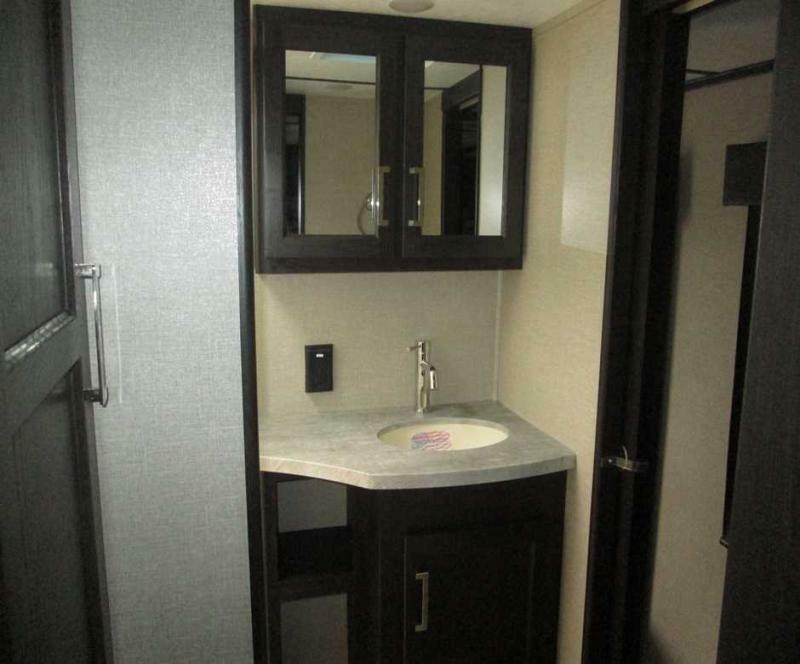 They will even have their own half bath and 40 TV! 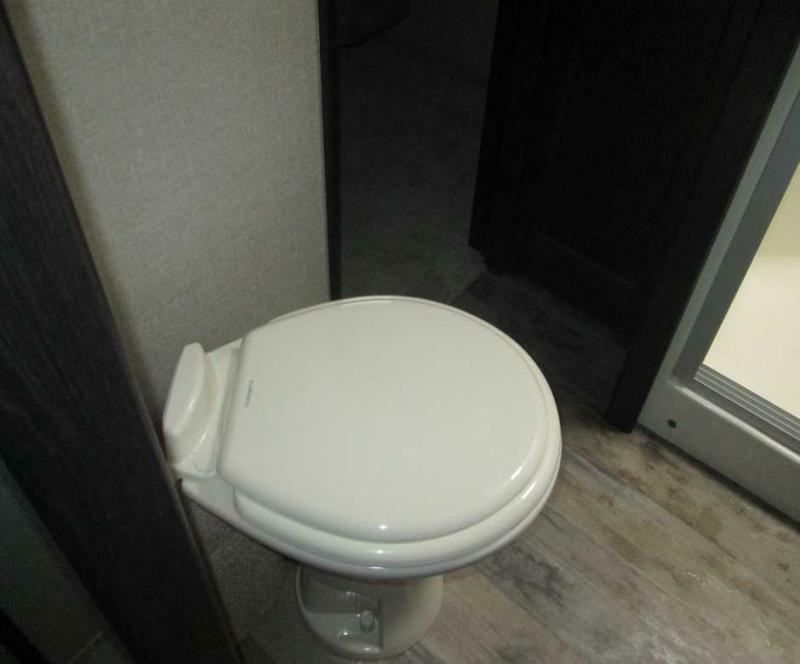 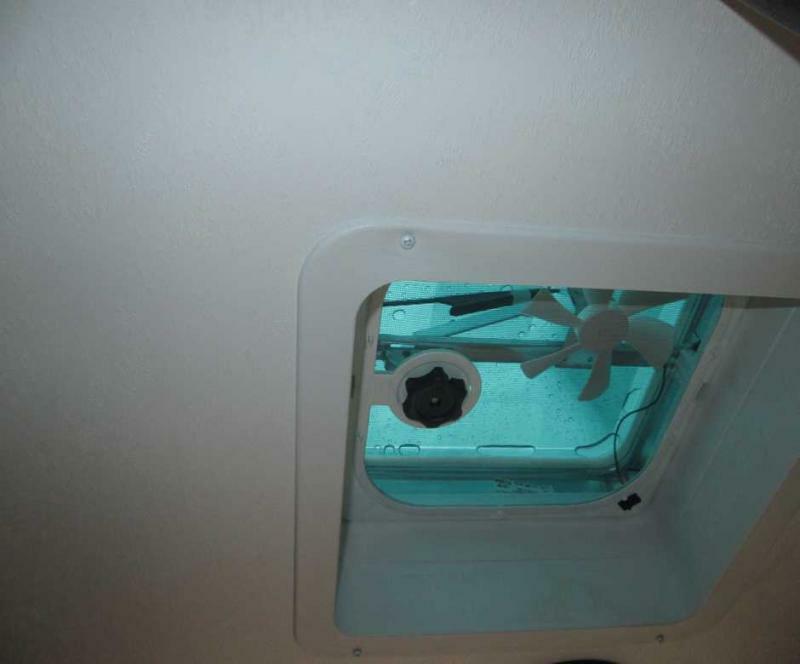 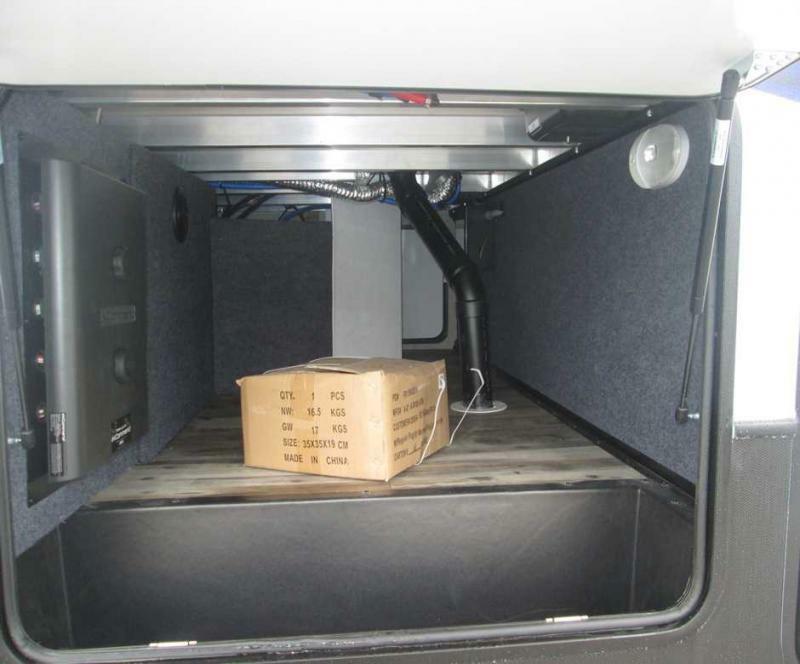 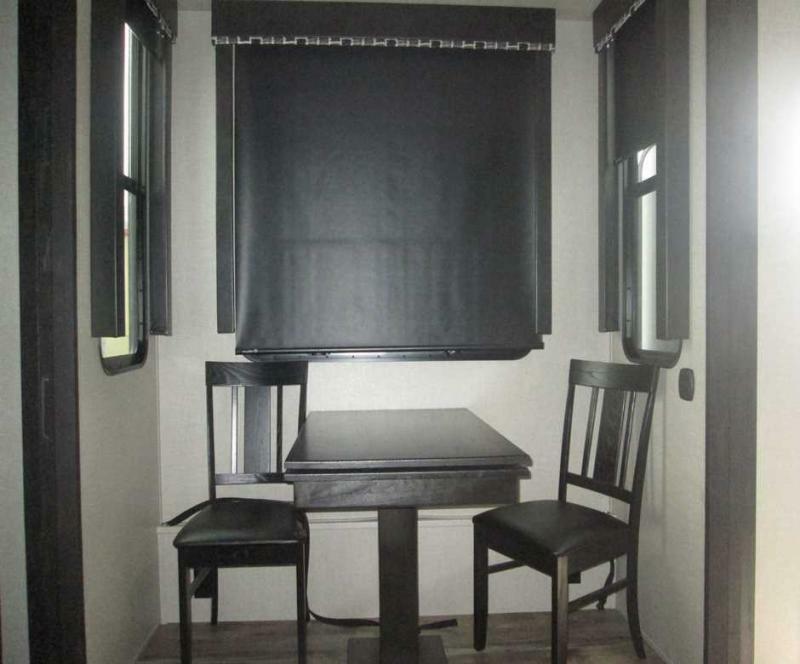 The inside of this unit looks like it has three separate areas because of the way it is set up. 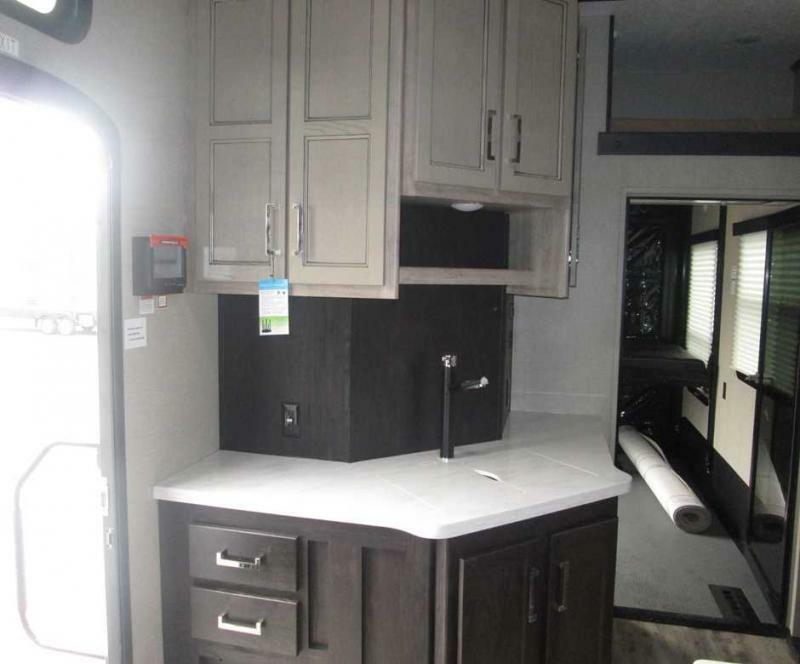 You have the kitchen with plenty of counter space for preparing your meals, the living area as an L-shaped sofa and opposite that there is another sofa that is in a slide out to open up the space. 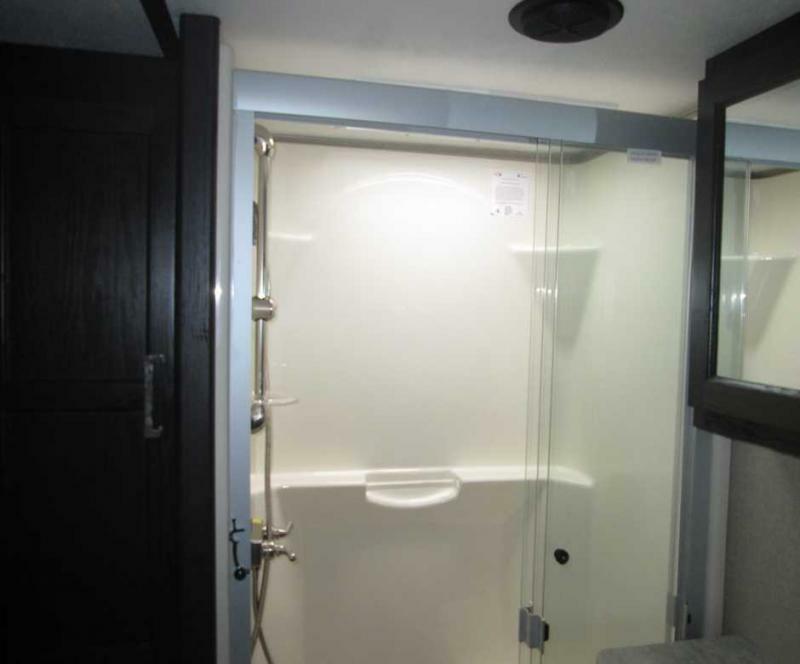 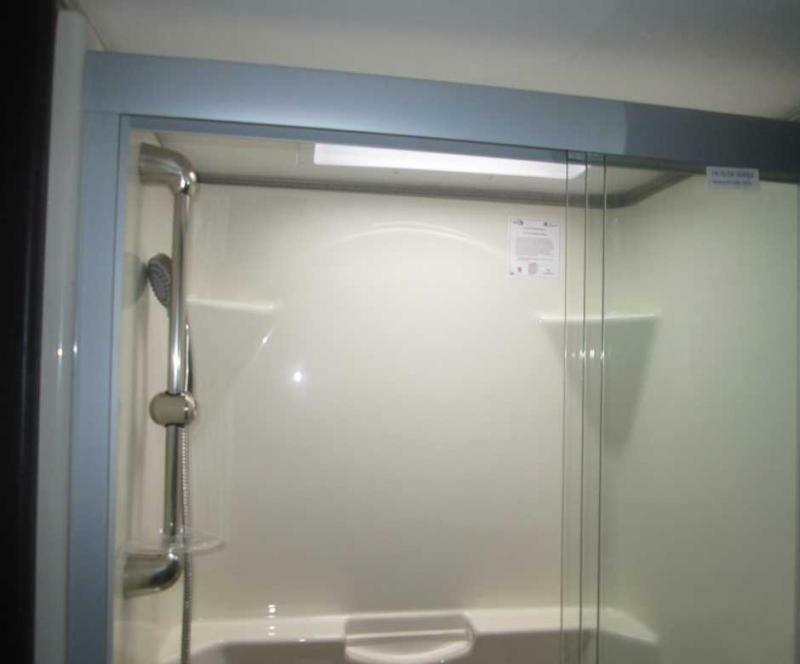 There is even a private bedroom that has it s own access door into the bathroom for convenience at night.